For me the greatest player ever to have played the game, Stephen Hendry has done it all in his long and illustrious career. With more world titles, more ranking event titles and more centuries than any other player he holds nearly every record in the book. 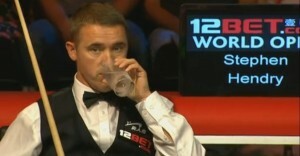 At his best Hendry was the finest break builder the game has ever seen. Never one for a prolonged safety exchange, he would typically drill in a long red before using his skills around the black spot and expert use of the middle pockets to score yet another century break. Not only this but he had one of the strongest temperaments the game has ever seen as he showed by winning the 1991 Masters from 8-2 down against Mike Hallett, or the 1992 World final 18-14 from being 14-8 down. When the pressure is on Hendry could come through more often than not and this relentless attitude arguably just as important to his success as his undoubted talent for the game. It was this combination of talent and temperament that made him so strong during the early part of the 90’s and when at his very best, set his level apart from anything I have seen before or since. When Stephen’s parents Irene and Gordon bought him a snooker table for £137 as a Christmas present back in 1981, little could they have known what a life changing decision this would prove to be. Within a fortnight he had knocked in a fifty break and it was not long before he had scored his first century at the Classic Snooker Centre in Dumfries. Hendry continued to work hard as a youngster, attracting the interest of Ian Doyle who was to soon become his manager when he comprehensively beat his son Lee in a tournament. Amongst other titles he won the Scottish Amateur Championship twice and having turned pro in July 1985 aged just 16, he won the Scottish Professional Championship for the first time the following year. On the main tour he rapidly moved up the rankings and made a mark on the biggest stage, famously earning a round of applause from his opponent Willie Thorne following a debut defeat at the Crucilble in 1986. 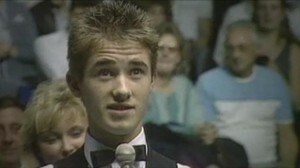 It is worth noting that barely four years after he first picked up a cue, Hendry was competing at the Crucible with the best in the world, an incredible achievement for such a short career. It was not all easy however as in January 1987 Hendry took part in a tour of Scotland, playing a series of matches against the best player in the world back then, Steve Davis. Hendry was hammered 6-0 and was thoroughly outplayed. He did however learn a great deal from this, himself saying that out of that series came a “much tougher” Stephen Hendry and he was soon back on the winning trail. His first major victory was to come in the 1987 Winfield Masters in Australia, beating John Campbell, Cliff Thorburn, Alex Higgins and finally Mike Hallett in the final. Soon to follow was his first ranking event victory at the Rothmans Grand Prix where he gained his revenge over Davis in the last 16 before eventually capturing the title with a 10-7 win over Dennis Taylor in the final. He went on that season to add the British Open, World Doubles and a third Scottish Professional title to his collection and ended the season ranked at a career high of fourth in the world. He continued to impress, winning the first of six Masters titles and moving up to third in the rankings by the end of the following year before things really took off in the 1989/1990 season. During this he won no fewer than seven titles, including the UK Championship, his second Masters and most importantly of all his first world title in Sheffield. In beating Jimmy White 18-12 that April he became the youngest ever world champion, a record that still stands today, and became Scotland’s first world champion since Walter Donaldson in 1950. There was no looking back for Hendry now and in the following season he won an unprecedented five ranking events as well as successfully defending the B&H Masters at Wembley. Indeed the only shock for Hendry was that his world title defence failed at the quarter-final stage where he lost to Englishman Steve James. In 1991/2 he maintained his relentless form and won a further eight titles, including a fourth straight Masters title having beaten John Parrott 9-4 in the final. Most importantly though he successfully claimed his second world title, recovering from 14-8 down against Jimmy White in the final by taking the next ten frames in arguably the great comeback the Crucible has seen. The next season was much the same, the titles continued to come as Hendry took his fifth Masters title on the spin and once again beat Jimmy White in the world final. This was a much more straightforward match for Hendry however who immediately set the tone in the opening frame with a perfect century break and never really looked back. 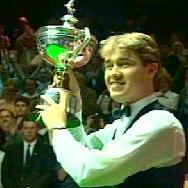 The 1994 World final was another matter however as Hendry clinched his fourth title in the most unlikely circumstances. 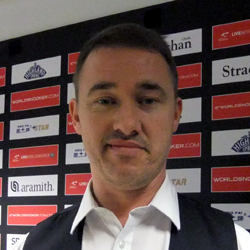 Following a hotel room slip earlier in the tournament, Hendry fractured his elbow and when not at the table had to wear a sling and was experiencing pain when getting up from his shots. 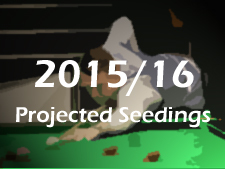 Despite this however he made the final where once again he would face Jimmy White in what was a much closer affair. Eventually the match went into a deciding frame and for a while it looked like White was finally going to win his first title. This was until he surprisingly missed a routine black off the spot which allowed Hendry back to the table who made no mistake, clearing up for frame and the match. Soon after this match Hendry was to be awarded an MBE and he continued his dominance of the sport, winning both the UK and world titles for a further two years. This brought him level with Steve Davis and Ray Reardon on six world championships, though it was to be a little while before he could surpass their records. He also managed to clam a sixth Masters crown in 1996, following which the organisers allowed him to keep the trophy permanently. At this stage with the likes of John Higgins, Mark Williams and Ronnie O’Sullivan now approaching the top of their game, there was a real sense of there being a “big four” in snooker and this made it tougher for Hendry to maintain his success. He was defeated in the 1997 World Championship by Ireland’s Ken Doherty and lost his world number 1 ranking the following year when John Higgins managed to win the title. Hendry was not to be denied his place in the record books by bettering Davis and Reardon’s tally of six world titles however, taking victory against Mark Williams in 1999 to take a well deserved seventh World Championship. 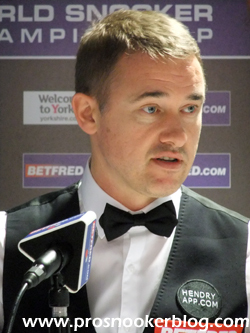 In addition it came on the back of a relatively unsuccessful couple of seasons where questions had been asked about Hendry’s desire for the game, culminating in a shock 9-0 defeat to Marcus Campbell at the UK Championship. This proved to be a turning point however and Hendry hit back like the champion he is to take his most difficult world title to date. 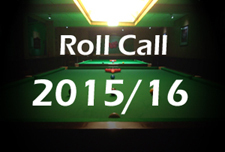 In fact it is arguable that his path to glory this year was the most difficult any player has had to come through. In the first three rounds he defeated Paul Hunter, James Wattana and Matthew Stevens who have all won ranking event titles before beating future world champions Ronnie O’Sullivan and Mark Williams in the final stages. Since then he continued to win titles for several years but was unable to dominate like he used to in the early 1990’s. Not helped by losing his original cue to a baggage handling accident in 2003, he hasn’t quite been able to play to the same standard in recent years and has failed to capture a title since the 2005 Malta Cup. 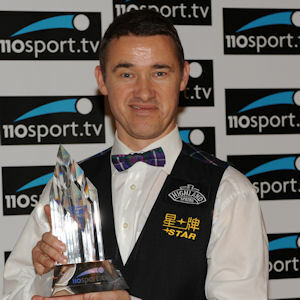 For a long time however he was able to remain ranked inside the top ten of the rankings however and continued to be occasionally run deep in ranking events, making the final of the UK Championship in 2006, as well as the semi-finals of the World Championship for the 11th time (another record), in May 2008. Having finished the 2007/8 season so well, the following season was something of a struggle for Stephen as he suffered a string of round one defeats to the likes of Ricky Walden, Stephen Lee and Martin Gould. His confidence was visibly low and many of his defeats appeared to follow a similar pattern as he battled hard to stay in touch until the end of the match before his opponents find that little bit of extra quality to pull away and win. Despite a strong run to the semi-finals of the inaugural Bahrain Championship where he was to come unstuck against Matthew Stevens, at one stage he was in real danger of losing his place in the top 16 for the first time since the 1987/8 season. Crucially however, runs to the quarter-finals of both the China Open and the World Championship ensured that he would maintain his place among the elite for at least another season. His run at the Crucible in particular was a memorable one as having emerged from a scrappy opening match with good friend Mark Williams, he rolled back the years with a vintage performance to defeat Ding Junhui in the last 16 for the second successive season. Although he was to lose in what was an 18th World Championship quarter-final (a record), against Shaun Murphy, he at least had the consolation of making his ninth competitive maximum break, his second at the Crucible and his first since 2001. The first half of Stephen’s 2009/10 season saw three opening round victories in ranking events followed by three disappointing last 16 defeats as he struggled to produce his best form on a consistent basis. His most impressive victory was that which saw him come back from 4-0 down to win 5-4 against Marcus Campbell in the Shanghai Masters, marking the first time that Hendry had done this in a ranking event match. Away from the main tour, Stephen was able to lift his first trophy of any kind since the 2005 Malta Cup by taking victory in the inaugural Legends of Snooker event in Glenrothes. 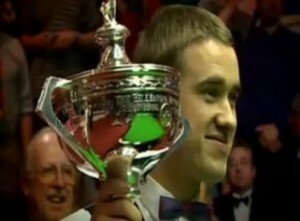 There he defeated Tony Drago, Cliff Thorburn and Ken Doherty to win the title and a prize of £10,000. 2010 saw Stephen again change his cue and although he lost to Shaun Murphy in January’s Wembley Masters, his performance was much improved and he followed this up with an excellent display against Dave Harold at the Welsh Open before he was defeated by Ryan Day in the second round. Hendry was soon to gain his revenge for that defeat however as in Beijing he finally managed to make it to the last eight of a ranking event for the first time during 2009/10, wins over Andrew Higginson and Day setting up a clash with Northern Ireland’s Mark Allen. With the likes of O’Sullivan, Higgins and Selby already out of the tournament, Stephen was in with a genuine chance to claim another ranking title and at 4-2 up against Allen looked to be gaining further momentum. What followed however was an excellent fightback from Allen who bounced back to take the next three frames and secure a 5-4 victory. The season ending World Championship saw Stephen drawn against Zhang Anda in what was an intriguing match-up. Few gave Zhang a chance heading into the match and at 4-0 down by the interval you could see why, but from then on it was a completely different match as Hendry began to make errors and Zhang grew in confidence on his way to a 9-7 lead. On the brink and with the vultures circling (literally as the press box filled up), Stephen then showed his class with three near-flawless frames, producing his best when it really mattered as he has so often during his career. Unfortunately for the Scot however he was unable to reproduce this form in the next round against Mark Selby and despite a strong start, slumped to a 13-5 defeat, his ranking falling one place to 11th as a result. Having struggled for victories during the previous campaign, Stephen’s struggles continued into 2010/11 as he failed to make an impression during the Players Tour Championship and also suffered a last 32 defeat at the Shanghai Masters. Although he did improve at the World Open with victories against both Bjorn Haneveer and Mark Davis, he could not match Ronnie O’Sullivan in his third match and slipped to a 3-1 defeat. From there he continued to win his opening round matches, notably defeating old rival Jimmy White 9-8 in the UK Championship but could not progress further which left his top 16 status very much in the balance throughout the course of the season. There was a moment of cheer at the Welsh Open however as he recorded a tenth career 147 break during his last 16 match against Stephen Maguire, but the fact that he lost that match was typical of his campaign as a whole. He entered the season-ending World Championship knowing that at least one win would be required if he were to remain inside the top 16 and despite an erratic performance against Joe Perry, particularly during the second session, Stephen was able to come through 10-9 on the colours to secure an important victory. As was the case 12 months previously however, he could do nothing to stop an inspired Mark Selby who knocked in a record six century breaks during their last 16 match to move into the quarter-finals. Crucially however Stephen was just able to cling on to a place inside the top 16 thanks to a 13-12 win for Ding Junhui against Stuart Bingham in one of the subsequent matches and this appeared to play a significant role in Stephen’s decision not to retire from snooker at the end of the season. Having retained his top 16 status at the end of the previous season, Stephen made an impressive start to 2011/12 at the Australian Goldfields Open with a strong win against Martin Gould in the first round, but defeats to Matt Selt in his next match as well as Robert Milkins in the Shanghai Masters effectively condemned the seven-times world champion to losing his elite status at the first mid-season seedings revision. 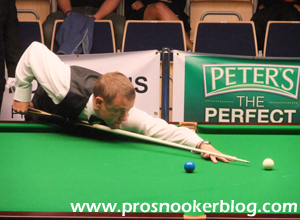 Consistent performances followed during the PTC events, while his fortunes during his initial forays to the qualifiers were mixed, victory at the UK Championship qualifiers against Gerard Greene being somewhat overshadowed by a 5-1 defeat to James Wattana in the German Masters. The second half of Stephen’s season was to be quietly impressive as he made it to the semi-finals of the PTC12 event where he lost narrowly to Stephen Maguire, while he was able to successfully qualify for all of the remaining ranking event tournaments during the season, including the season-ending World Championship at the Crucible for a record 27th consecutive occasion. Little was expected of Stephen in Sheffield and perhaps this was to help him, as having arrived back in the UK just a day earlier, he caused a sensation on the opening day of the tournament as he made his 11th career maximum break against Stuart Bingham, his third at the Crucible. That break helped him on the way to a 10-4 victory against Stuart Bingham, before he then progressed further with an emphatic 13-4 win against defending champion and old rival John Higgins to move into his 19th World Championship quarter-final. That was to be as far as he would progress however as following a 13-2 drubbing at the hands of Stephen Maguire, Hendry then chose to announce his retirement from the sport with immediate effect, thus ending perhaps snooker’s greatest career.